Magnificent Balinese-style 5 BD/6 BA waterfront home on Venetian Islands with 60ft of water frontage, pool and expansive rooftop deck. Breathtaking Downtown sunset views. 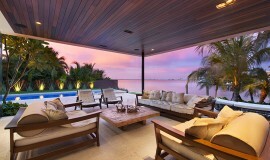 A contemporary 4 bedroom home with private backyard and pool on desirable Venetian Islands. 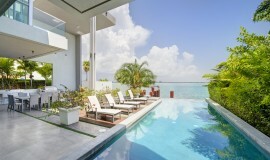 A spectacular, modern waterfront home on 70 ft of water frontage with unobstructed bay views. All bedrooms with ensuite bathrooms, smart house technology and the highest quality fixtures. Private dock, heated pool and top-of-the-line outdoor grill. 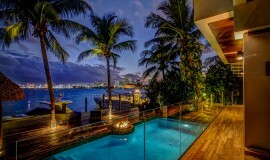 Contemporary Bali style custom home with highly sought after Downtown Miami sunset views. The expansive master bedroom and spacious outdoor patio overlook the oversized swimming pool and hot tub, with outdoor kitchen and entertainment areas. A one-of-a-kind property. Stunning modern 4 bedroom/4 bathroom waterfront home on 60ft of water frontage, with fabulous water views and a large, covered outdoor entertaining area. 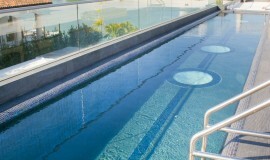 Sunbathe next to the infinity edge pool and enjoy dinner on one of the rooftop terraces on a picturesque Miami evening. Beautiful 5 BD/5.5 BA waterfront home with open living & dining areas, pool and hot tub, just a stroll away from Lincoln Road, Sunset Harbor shops and restaurants. 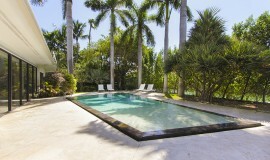 Newly renovated 4 bedroom/3 bathroom home on guard-gated Hibiscus Island. Private backyard with pool and hot tub. Open kitchen, living and dining areas with modern furnishings. A cozy vacation home. This inviting 5 bedroom/5.5 bathroom home on Venetian Islands has wide bay Southeast views and features a European kitchen, large living and dining areas for entertaining, an oversized pool and private dock on 105 feet of water frontage. A perfect retreat. Beautiful 4 BD/4.5 BA home on 90 feet of water frontage with private dock and pool. Great for entertaining with expansive open living & dining areas, just a stroll away from Lincoln Road, Sunset Harbor shops and restaurants. Marvelous newly constructed 7 bedroom/9.5 bathroom home on gated Sunset Island IV. Floor to ceiling glass with telescopic sliding doors and Ipe wood details. Luxurious bedrooms and bathrooms with the highest quality fixtures, and a fully equipped kitchen with top-of-the-line appliances. A stunning property to enjoy. A stunning yacht-inspired, tropical modern home completed with expanses of glass, rich rosewood finishes, and spectacular water views. 4 bedrooms/4.5 bathrooms, this home offers a sleek, calming retreat with a rooftop pool, gym with sauna, and fully-equipped gym. 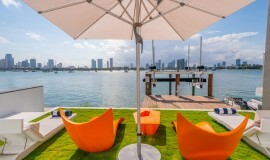 Stunning 6 BD / 6.5 BA modern waterfront home on 100 feet of water frontage, with spectacular western sunset and Miami skyline views. Stunning wide bay island home offering 5 bedrooms/4.5 bathrooms with 105 ft of water frontage with heated pool, summer kitchen and private dock. Magnificent Mediterranean home with 6 bedrooms/5.5 bathrooms on over 200 feet of water frontage, with unique oval-shaped pool, west sunset views, large semi-circular driveway, expansive master suite, separate guest house and staff quarters. 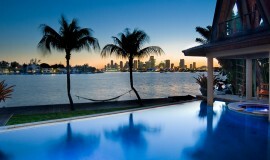 Some of the best vacation rental properties in South Florida can be found in none other than Miami Beach. With some of the most valuable properties in the southeastern United States, the barrier island and its many island neighborhoods have a stunning collection of lucrative rentals that provide the spacious accommodations, the superb location, the breathtaking views, and the style only found in Miami Beach. Many of the Miami Beach home vacation rentals featured on our website are located within the Venetian Islands. The series of six islands are located in between Miami Beach and the city of Miami and are intersected by the Venetian Causeway. Whether you choose a vacation rental in San Marino Island, Rivo Alto Island, or one of the other four island neighborhoods, each of them have stellar views and great features like swimming pools, boat docks, and more. Other island neighborhoods with rental properties available include Palm Island and Hibiscus Island and we also have vacation rentals within the Miami Beach mainland if you’d like to be near the city’s many attractions like South Beach, Lincoln Road, and more. Contact us today learn more about Miami Beach home vacation rentals or if you have any questions on available properties.